I noticed something.... I was looking at screencaps of Super Rhino when I noticed the dog walker Bolt encountered in NY. 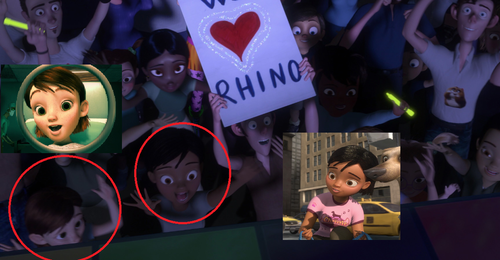 Then I saw the actress who replaced Penny on the Bolt TV show.... Wallpaper and background images in the Disney's Bolt club tagged: bolt disney no1boltfan huzzah. This Disney's Bolt photo might contain سائن ان کریں, پوسٹر, متن, چاکبورڈ, نشانی, and تختۂ چاک.